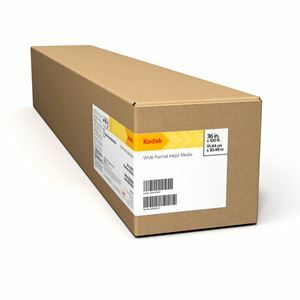 KODAK Water-Resistant Removable Vinyl is a calendered vinyl with a pressure-sensitive, removable, repositionable adhesive. With excellent water-resistance and light stability, it is designed for both indoor and outdoor displays. With Kodak’s market leading Performance Guarantee you can achieve 7 months unlaminated and one year laminated outdoors with the NovaJet 1000i Quantum pigment inks and one year laminated indoors with the Quantum dye inks.